As parents, most of us try to limit our children’s screen time and get them to play outside. It may be a little counter-intuitive, but watching a truly great soccer game can spark your child’s desire to grab a soccer ball and go out and play, or work on their skills. 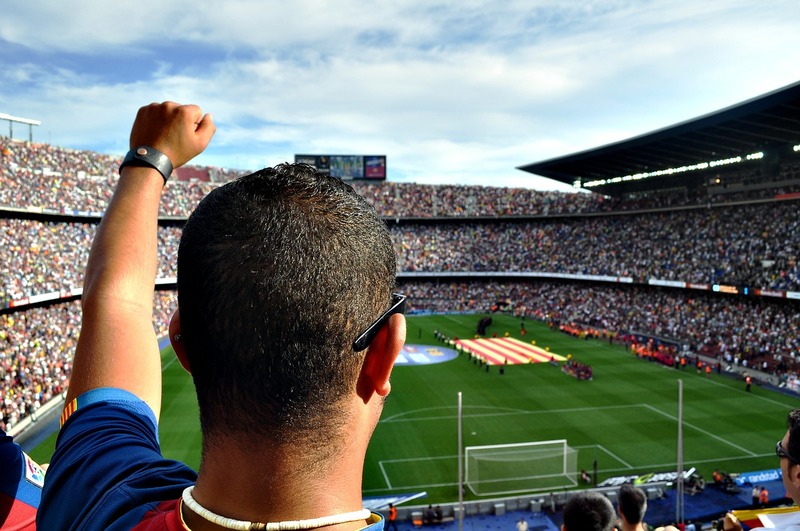 While nothing beats the “feel” of a real stadium packed with fans cheering on their favorite team, watching on TV can afford you to see the best of the best. Most of us that grew up watching the soccer greats spent much more time outdoors trying to replicate the sensational moves of Pelé, Maradona, Zidane and many others, or playing the beautiful game with our friends. We were always even more fired up to play right after seeing a great game. Most soccer leagues have one or more derbies where two teams, usually from the same city, play each other or rivalries where it’s less about the geographic proximity and more about a history of highly contested games against each other. These games tend to be extra fiery with players giving it their all past exhaustion resulting in very attractive play. Some great soccer derbies and rivalries are: USA vs. Mexico, USA vs. Canada in women’s soccer, New York Red Bulls vs. DC United, Liverpool vs. Everton, Arsenal vs. Tottenham, Manchester United vs. Manchester City, Boca Juniors vs. River Plate, Roma vs. Lazio, AC Milan vs. Inter Milan, Barcelona vs. Real Madrid, Rangers vs. Celtic, Galatasaray vs. Fenerbahce and many others. These terms are not exclusive to soccer. Other famous rivalries include: LA Lakers vs. Boston Celtics, Boston Red Sox vs. The NY Yankees, Tom Brady vs. Peyton Manning and so on. Here is an article from The Telegraph detailing some of these rivalries: http://www.telegraph.co.uk/sport/football/picturegalleries/11484651/The-20-biggest-rivalries-in-world-football-ranked.html. Derbies and rivalries are awesome, but what happens when you mix things up a little? Re-mixes are very popular in many aspects of life and soccer is no exception. Most leagues also have a tournament-style competition called a Cup. This is where teams from different divisions or leagues can play against each other, so a lower division team can get a shot at a superstar team. Your spidey sense is tingling for a reason. This type of tournament can set up the David vs. Goliath epic battle that will keep you glued to your screen for the duration of the game. Aside from league cups, the most notable tournaments are The FIFA World Cup, UEFA Champion’s League, The FA Cup, The UEFA Euro, UEFA Europa League, The Copa Libertadores, The Confederations Cup & The Africa Cup of Nations. You can read more here: http://bleacherreport.com/articles/1684009-power-ranking-worlds-10-best-football-tournaments. Who doesn’t love a good story? Stories worth writing about come from real life and soccer has no shortage of it’s own. At the very moment of writing this, Leicester City FC is making a historic run to win the Barclay’s Premier League 2015/16 season as the ultimate underdog. Usually the hallmark of such an underdog story is incredible teamwork and teammates that leave it all on the field with an occasional hero mixed in. Jamie Vardy and Riyad Mahrez have scored some stunning goals this season to put the title within their reach. At the opposite end of the fairytale you will find the teams that are struggling to avoid relegation. In most leagues, the bottom 2 or 3 teams will get sent down to a lower league for the next season and be replaced with the top 2 or 3 teams from that lower league or division. Nothing stokes the fire and creates a sense of urgency like the threat of demotion. The really special games in this type of situation happen where the bottom teams play one another, or a team looking to win the title. One has everything to lose and the other everything to gain. Also, the closer we get to the end of a soccer season, the less games there are to play and less points to be won, so the battle intensifies. The best survival games to watch are in evenly-balanced leagues like The Barclays’ Premier League where every single team can beat any other team on any given day. The competition is so fierce there are no givens and everyone has to earn their points every time they step onto the pitch. You may be asking yourself what this has to do with soccer… As noted earlier, to a real fan, soccer is an art form. Sometimes a team plays so well together and / or is riddled with stars to the point where watching them play against anyone evokes the sense of a masterpiece. The passes and finishes are so perfect, timed just right & creative (unexpected). Watching any one of these teams practically ensures a great game. Last, but not least, every once in awhile, a player is born with massive talent and a work ethic to see it through to the pros. This player seems to operate on a level above everyone else on the same field. They feel untouchable and their moves are sure to delight. Please be sure to check out US Soccer (http://www.ussoccer.com), The National Women’s Soccer League (http://nwslsoccer.com) and the Major League Soccer – MLS (http://www.mlssoccer.com) websites to keep up with US Soccer news and stars of the game.